There are many tennis facilities available for public use throughout Oxford. Tennis courts are accessible on a Pay and Play basis, except for those at Botley Recreation Ground and Hinksey Park, which are always free to play however must still be booked. Equipment can also be hired for as little as £1 from parks where there is a kiosk. All courts must be booked before you play and fees paid where they apply. We run an honesty policy at every tennis court, with random inspections taking place throughout the week. Courts at Botley Park and Hinksey Park are always free to use. Tennis courts at all parks can be booked online, making it easy to ensure one will be available for your match. Visit the link below, select your preferred venue, court and time, collect your booking reference and head down to the park with your tennis gear on! Book online on the Parks Tennis website. You can also save time and find your nearest tennis court using the website. This system can be accessed easily on mobile phones, tablets or computers, so you can even book a court on your way to the park, or after you've arrived. If you don't have your phone with you, you can also check availability and book courts at the kiosks in Florence Park and Cutteslowe Park. We work in partnership with Parks Tennis to offer LTA qualified coaching for all ages and abilities on Oxford's parks courts. Meet the Oxford tennis coaching team. Never played tennis before? Try a beginner session! Used to play, but lost the edge? Get in gear with rusty rackets! Tennis prodigy in the family? Get them onto Mini Reds for 5-8 year olds! Every park in Oxford has coaching sessions running throughout the week. Take a look at what’s on near you on the Tennis Oxford website. You can also get on court with a number of other opportunities that we support. Active Women Tennis - fun and affordable tennis for women aged 16+. Tennis Tuesdays - working with the LTA on their national campaign to inspire more women to get on court. Great British Tennis Weekend - enjoy free and fun tennis across the city at a number of events this summer. 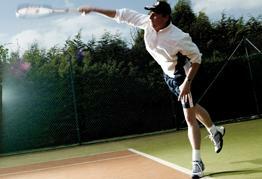 Oxford Tennis League - provides friendly competition matches for adults. There are four 8-week rounds a year and men and women (18+) of all standards are very welcome to join. Play on any of Oxford's public courts - it's the ideal way to improve your tennis skills, get fitter and meet new players. These documents should be provided to Premier Tennis and, upon successful inspection, a coach licence will be issued for one year. This licence should be carried with the coach when on court and produced upon request. A grace period from 1st October 2018 until 31st March 2019 is in place so that existing coaches have time to comply with this requirement. There is no fee for this licence in the first year of operation (1 April 2019 to 31 March 2020). Failure to comply with this policy may result in the coach being refused permission to coach on Oxford’s parks tennis courts.